TO JOURNALISTS OF INTEGRITY, blacklist is the vilest word in the dictionary. Nothing corrupts a free press like conspiring to silence a man. And when the conspiracy results from arm-twisting by extremists, it is not only corrupting, but cowardly. This is a story of blacklisting at National Public Radio. 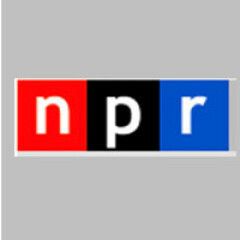 On Aug. 20, NPR's popular Talk of the Nation dealt with breaking news: the US raids on Osama bin Laden's terror facilities in Sudan and Afghanistan. One of several guests interviewed by telephone was Steven Emerson, an investigative journalist and a leading expert on Islamic fundamentalist terrorism. Emerson has reported in detail on Islamic extremism, and has focused public attention on the network of terror cells and front groups operating in the United States. His 1994 television documentary Jihad in America won some of journalism's most coveted awards, and he has repeatedly been invited to testify before Congress on Islamic violence and US counterterrorist policy. "It may be," the FBI's former assistant director of counterterrorism has written, "that Mr. Emerson is actually better informed in some areas than the responsible agencies of government." In short, Emerson was an ideal guest for NPR's show, and his brief on-air conversation with host Melinda Penkava was unobjectionable. Unobjectionable, that is, to anyone except the Islamic terrorists and their supporters whom Emerson has done so much to expose. In recent years, he has been the target of a brutal campaign of vilification and defamation. The Council on American Islamic Relations -- a radical group that warmly defends Hamas and other terror outfits -- has led the way in demonizing Emerson as an anti-Arab racist. CAIR's world view is simple: Criticism of anything linked to even the most fanatic wings of Islam is bigotry. (For example, it labeled a "hate crime" the arrest of Sheik Omar Abdul Rahman, ringleader of the World Trade Center bombing.) Its approach to press relations is also simple: Deluge media outlets with protests, invective, and cries of "Racism!" when they publish or broadcast stories unflattering to Islamic extremists. Because Emerson has shed so much light on the operations of these zealots, his appearance drives them into a particular froth. Right after his NPR interview, CAIR urged its adherents to go on the attack. One of the many attackers was Ali Abunimah, a leader of the Chicago-based Arab American Action Network. Judging by its web site, the AAAN's chief project is condemning "the genocidal policies of the US government toward the people of Iraq." But Abunimah has a pet project of his own: Lobbying NPR to blacklist Steven Emerson. In June, he e-mailed NPR's news division to say he was "horrified" that Emerson had been used in a story on Mohammad Salah, a reputed Hamas fund-raiser. Emerson is an anti-Arab bigot, he said -- witness his comment in April 1995 that the Oklahoma City bombing bore "a Middle Eastern trait." It was intolerable to "have to listen to such a blatant, sickening racist." Abunimah demanded that NPR "not allow this to happen to Arabs . . . again." He pressed his vendetta up and down the NPR food chain: To the network's national news editor, Michael Fields; to the general manager of the affiliate that had produced the story; to Jackie Northam, who had reported it; to Loren Jenkins, NPR's foreign editor. The network caved. Fields assured him that quoting Emerson had been a "mistake" and that "it won't happen again" -- i.e., that Emerson would be blacklisted. But on Aug. 20, Emerson appeared on Talk of the Nation. Livid, Abunimah fired an e-mail to Ellen Silva, TOTN's producer. "I am shocked and disappointed," he wrote, "that TOTN had Steven Emerson on its call-in show today as a guest. Mr. Emerson is a well-documented anti-Arab, anti-Muslim racist. When he was last on NPR on June 24, in a report by Jackie Northam, there was a public outcry. . . . This should not have happened again. . . . Last time, I accepted the explanation that it had been an innocent error. But how many errors can be innocent? This is a very serious matter and will require an appropriate response." Our executive producer was in charge of that decision -- not me. I take your point and extend an apology to you from the staff of TOTN. Thank you for your response. Who is the executive producer of TOTN? Have you forwarded my concerns to him or her? Other than an apology, which we received previously, what assurance can I have that this won't happen again? I have forwarded your concerns to him. You have my promise he won't be used again. NPR's obsequious surrender speaks for itself. That an expert who testifies before Congress would be barred from the airwaves of the radio network Congress subsidizes is too scandalous to need elaboration. It remains to add only that, late last week, I learned of the Abunimah-Silva correspondence and asked NPR to explain its blacklist policy. Silva retracted everything. "I was wrong to use the word 'policy,'" she said. "I misspoke. We don't have a policy on Steven Emerson." I asked several times why NPR was repudiating its words. Silva declined to answer.